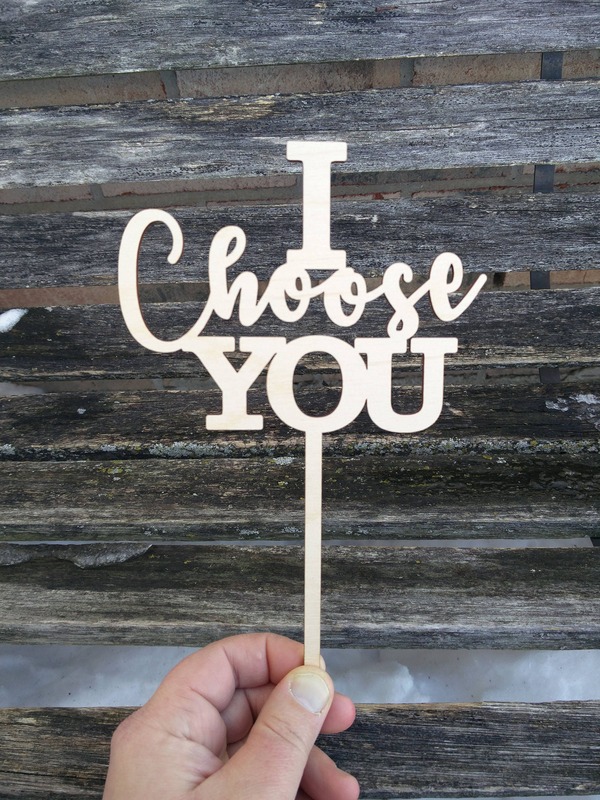 This laser-cut cake topper is perfect for a wedding or special event. 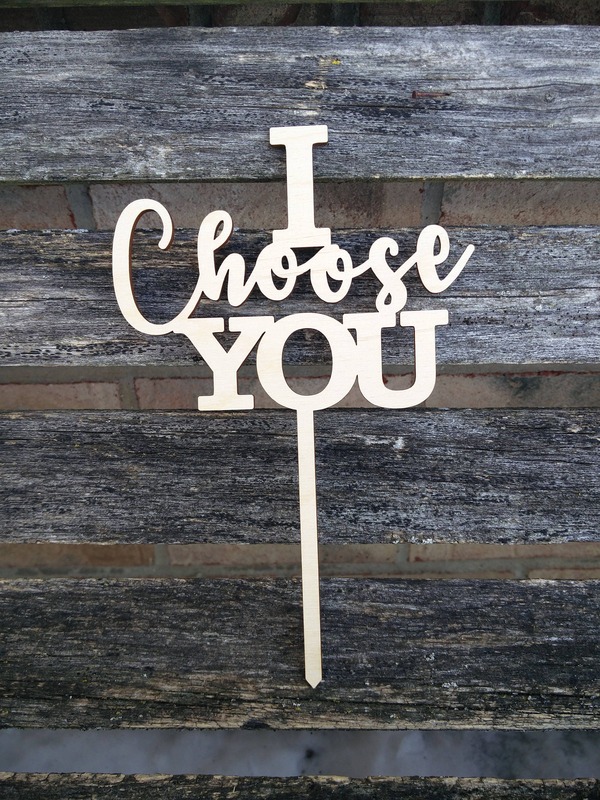 It says "I Choose You". Or you can choose to have it say something else. Anything is possible! 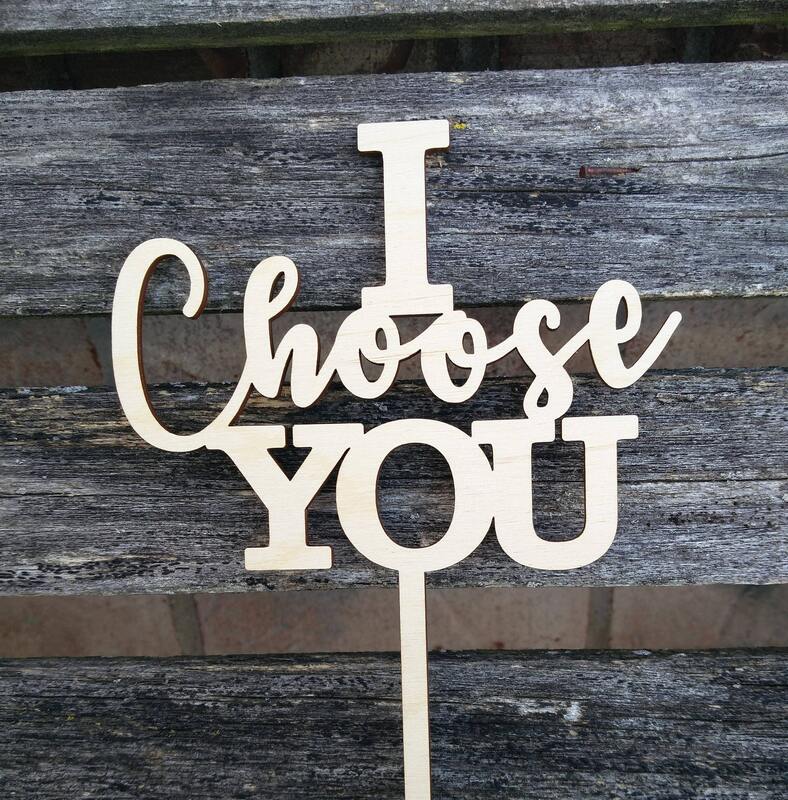 The cake topper measures 6.5" wide. It is just over 9" tall, with the stem. This looks great on any cake! 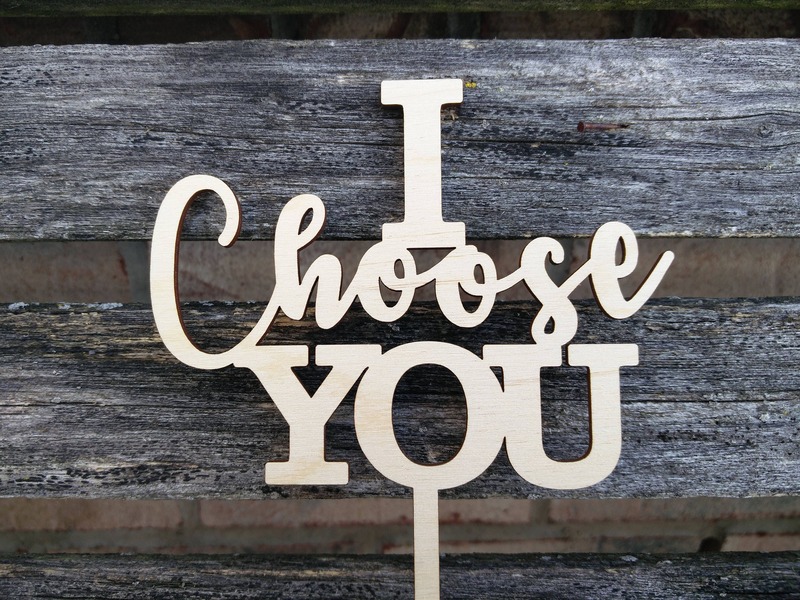 These are perfect for a rustic wedding or shower! 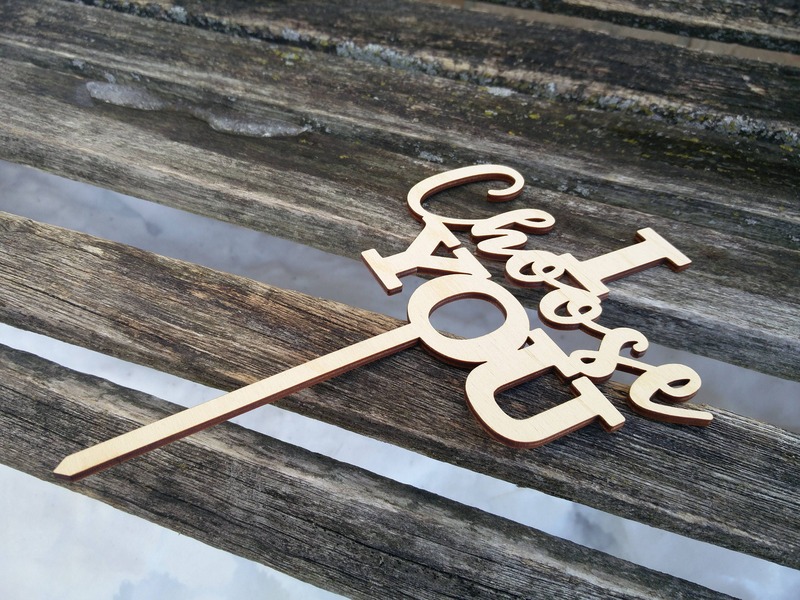 They are made from Baltic birch and make a wonderful keepsake to hang onto. If you need a custom size, please message me. If you have questions about a custom order, just ask! 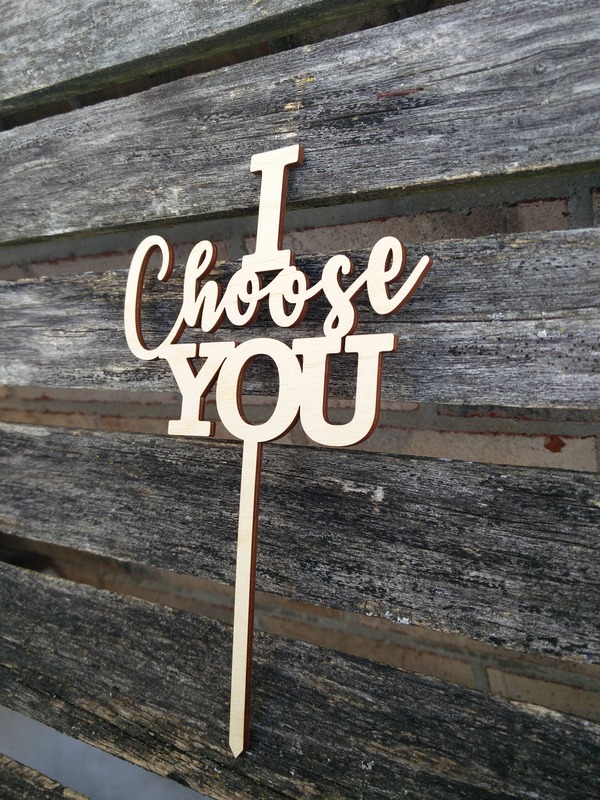 I can make cake toppers say ANYTHING! Please contact me for international shipping rates, if your country is not listed. If you want to order more than 2 of these, please contact me beforehand and I will give you bulk discount!